Need somebody to run your errands? Book your next run, and let Runner'sRunner (RR) do it for you! Runner'sRunner has already been around the running scene in the Metro for more than a year now since it's conceptualization on February 2010 (read the story of RR's origin). And their presence for just a short while have already made the registration scene seamless for many of the runners who availed of their service. 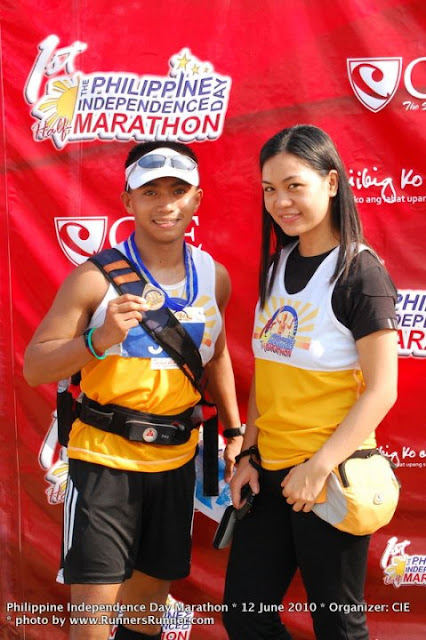 I first met "Ka Edong" - the great man and brain behind RR - at the PIDHM 2010 race. He was just a simple photographer that time where I thought he was also some kind of weird stalker trying to get a precious photo of me (lol, just kidding Sir Edwin). Last 17th of June 2011, RR invited their partners, friends, and bloggers for the launching of their one-stop-shop for online race registration services. If you haven't read their origin just mentioned above, Runner'sRunner was conceptualized to run the errands the runners' registration process, registration fee payments, and race kit delivery. But not only that as Runner'sRunner has also become an online reference about the past and upcoming race events in the different parts of the Philippines. So if you're looking for a next race to join but you're busy to register on-site, or find it hard to gather registration forms for your team member's registration, you want it to be hassle-free and worry-free, why not turn your head and fingers at Runner'sRunner.com? stalker ba ang dating!? hahaha! ;-) Thanks for the write-up, Pedo!